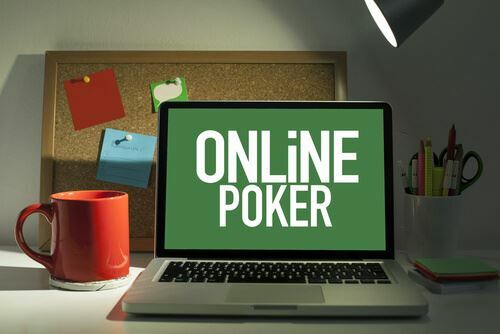 Online Poker is a cornerstone of gambling in Australia today, in which players place bets on the value of their hand. The round is decided by which player has the strongest hand. Poker is a game that many Aussies have been exposed to just by playing it with friends, long before they start playing poker to win money. 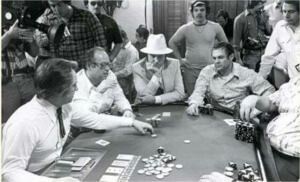 It’s been about 40 years since Poker made its first appearance and started to attract players from Australia. 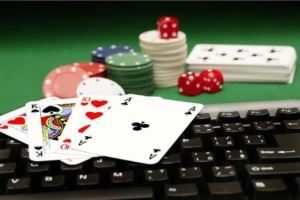 In the years since its premiere, Online Poker has made its rounds and has transformed into a classical and strategic game with a number of variants of the game. It is a universal game that every Australian can play, whether you’re in Melbourne or Sydney! If there’s one game out there that has a very long history, one that is quite difficult to accurately write out, it’s definitely poker. The game itself is thought to have evolved over the course of 1000 years or more, taking its inspiration from various other games. One of the first games very similar to poker is thought to have been invented around 969 AD by the Chinese. The Emperor at the time, Mutsung, is reported to have okayed ‘domino cards’ on New Year’s Eve. Jump forward a few hundred years and the Egyptians were known to play a game that used an early form of playing cards in the 12th and 13th century. In the 16th century, the Persian played various betting games with Ganjifa cards or Treasure cards. A deck consisted of 96 cards and was made out of thin slices of ivory and precious wood. They also played a game called As Nas, which used just 25 cards but had rounds of betting and hierarchical hand rankings to determine a winner. In the 17th century, a French game by the name of Poque became quite popular, while the 18th century saw a German game called Pochen become popular. 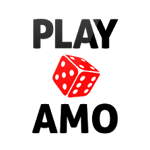 Both were inspired by a 16th-century Spanish game called Primero, where bluffing was a major part of gameplay. It looks like the game we know as poker first started to surface in the 1800s and has been gaining popularity since. When it comes to video poker or online poke, we can trace its history back to the 1970s. A man by the name of Si Redd came up with an idea for a video poker game, while he was working as a distributor for Bally. The company was heavily focused on the new pokie market and was not willing to invest in another, untested game. Si Redd convinced Bally to allow him to take the patent with him, which they agreed to, and he had soon made a deal with Fortune Coin Company. Initial uptake of the video poker games was slow, but by the early 1980s, they were some of the most popular games in casinos. It wasn’t until 1994 that we saw video poker make the transition to online casinos, spawning countless new versions of online video poker. Although Online Poker brings you a plethora of choices thanks to adaptions of this classic casino game, the basics will always stay the same. Online Poker is very simple. Each player is given 5 cards which are randomly drawn. Of these cards a player can choose to keep or get rid of as many as they wish. ‘Jacks or Better” is the most common form of Online Poker and is the easiest one to learn. This version of Poker is based on a player trying to get as many pairs of Jacks as possible. If they have at least one pair of Jacks after the cards are drawn, they win. 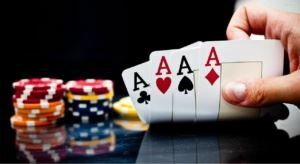 Based on the strength of the players’ hand, the payout can be greater, for instance a royal flush pays out several times more than another, simpler winning hand would. Learning how to play poker is not as hard as you think it is. Pick any of our great online casinos on our website, they boast the greatest of all online Poker games. Choose your choice of Online Poker. Learn the strategy, remembering that Poker is a strategy game is key. While luck still plays a part, skill and strategy play a much larger role when it comes to winning in poker. Using a few tips and tricks could see you reduce the house edge and better your odds. If you’re playing at a land-based casino, choose your machine wisely. There are lots of different versions out there and machines can payout quite differently. Be sure to check the paytable to ensure you choose the best machine. Make sure you’re familiar with the game. While the basic rules are generally the same, all variations of poker have slight changes to the rules. Make sure you now and understand what these changes are so that you can ensure you don’t get caught out by something. Be sure that you are fully aware of what the winning combinations in poker are. This will make sure that you keep the important cards in your hand to ensure you win. There are many online and video poker games that have a progressive jackpot. When playing a progressive jackpot game, always be sure to place the max bet. In order to win the jackpot, you’ll need to have bet the maximum number of coins. The last thing you want to do is win the jackpot but not get it because you didn’t bet the max. Most online casinos Australia will allow you to play for free. Be sure to use this feature and get comfortable with the game as well as develop strategies before you commit to start playing with real money. We normally recommend that you hold cards that could be used to make a royal flush, straight flush, four of a kind, full house, three of a kind or two pairs. If you’re holding a straight flush, do not break it in hopes of getting a flush, so if you have a 9, 10, J, Q, K don’t get rid of the 9 in hopes of getting an Ace. Straight Flush: 5 cards in mathematical order, all identical suits. 4 of a Kind: 4 of the same card ranks, and one side card or ‘kicker’. Flush: 5 cards – same suit. Straight: 5 cards in which are in progression. 3 of a kind: 2 unrelated side cards and 3 cards of the equivalent level. 2 pair: 2 cards of a matching rank, another 2 cards of a different matching rank, and one side card. One pair: 2 cards of the same status, and 3 unrelated side cards. 5 Low or Wheel: The 5, 4, 3, Deuce and Ace. Six Low: Any 5 unmatched cards with the peak card a 6. Seven Low: Any 5 uneven cards with the 7 as the main card. Eight Low: Any 5 unmatched cards with the top card being an 8. Seven Low: Any 5 uneven, not connected cards, of poles apart suits, with the maximum card being a 7. A ‘wheel’ or ‘number one’ is the best possible hand which consists of 7, 5, 4, 3, and 2. Eight Low: Any 5 unmatched, unconnected cards of altered suits, with the top card being an eight. Nine Low: Any 5 uneven, unconnected cards of dissimilar suits, with the top card being a nine. Ten Low: Any 5 unpaired, not connected cards of diverse suits, with the highest card being a ten. Badugi: A hand that has 4 cards, which are unpaired as well as each from a different suit. 3-Card Hand: Any hand with 3 uneven cards of unlike suits, but a 4th matching card. The lowest 3 unpaired cards of different suits play. 2-Card Hand: Any hand composed of 2 unmatched cards of altered suits, but 2 paired or suited cards. The lowest 2 unpaired cards of different suits play. One-Card Hand: If a hand only has one playable card, the lowest card plays. Bet: Betting is done in a clockwise order. If a table does not yet have a wager the betting may begin. Call: A player can only call if there has been a bet on the current round. Calling consists of matching the current bet made by other players. Check: If there has not been a wager yet made, a player may check. Raise: If there has been a bet on the current round, a player may rise. Rising consists of a player matching the current bet and then adding to it. Below you’ll find some of the most important terms in poker, which will help you learnt he game if you have no experience. Wild – A card that is capable of standing in for other cards to create a winning combination. In regards to online gambling, Video Poker and Online Poker are pretty much the same. The rules of Video Poker are the same as online poker; a player can play 1 to 5 coins, the machine will give them 5 cards, players choose which one to hold and discard, the machine will then replace the discarded cards and the will pay the player according to their hand. Is it possible to try online poker for free? Luckily these days it is. However, a few years ago it would have been nearly impossible to do the same. Thankfully today many top online casinos are more than happy to allow players to try out games free of charge for as long as they want. Players will have a big variety of games they can try, including pokies and table games. This is a fantastic way for new players to get comfortable with a game, understand the rules and decide if it’s something they’d want to spend real money playing. How do I start playing Online Poker? The first thing you’re going to need is to make sure the device you’re playing on is connected to the Internet, whether it is your home PC, laptop, Mac or Smartphone. Some casinos and devices will allow you to download the casino software but alternatively you can just use the Instant-play Casino and pay directly through your web browser. All you’ll need to do is register an account, log in and start playing. You’ll also want some way to deposit money into your account, once you’re ready to start playing for real. How many different versions of the game are there? Online Poker has countless different versions of the game available to play. 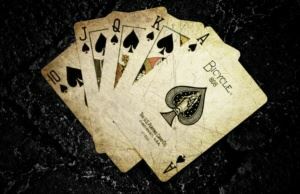 Perhaps the most popular versions of Online Poker would be Jacks or Better and Deuces Wild. Players can play Caribean Stud Poker, Texas Hole’em and 3 Hand Poker. However there are so many different versions out there, players are sure to find something they like. There are versions with jokers and ones without, not to mention multi-hand games that could see you playing as many as 100 hands per round. Finally, there are also Online Poker games out there that use a progressive jackpot, allowing the player to win an amazing amount of money if luck is on their side. I have quite a bit of real poker experience, is online poker the same? There are some differences between real poker and online poker, there are even differences between different online poker games, but the basics are the same. Having real-world poker experience will give you good experience to draw on and can only help you when playing online. The biggest difference between real poker and online poker though is that in most online poker games you are playing against the dealer, not other players and the computer is far less impressed with your bluffing skills. What is the house edge in online poker? As with any casino game, whether online or in a land-based casino, the house always has a slight edge. Thankfully for skilled poker players, this is one of those games where skill and strategy are more important than most other games. Your luck still plays a role, but to a much lesser extent than in Roulette or a pokie for example. This means that a really good poker player should be able to beat the house more often than the house beats him.